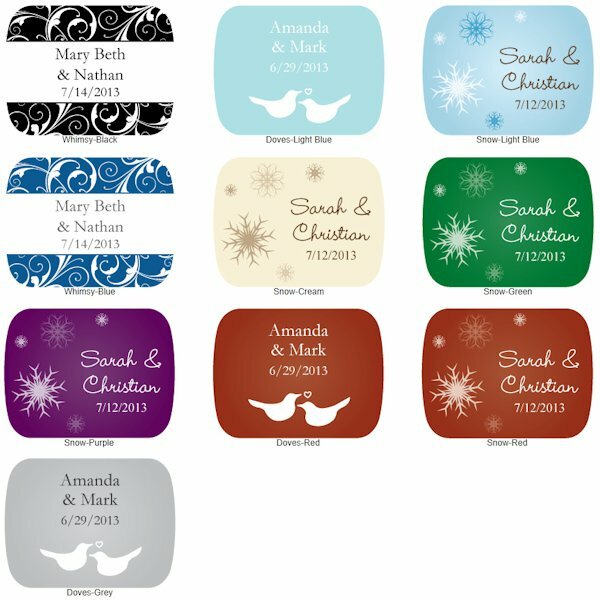 Dazzle guests at your next winter event with these heart-felt favors! 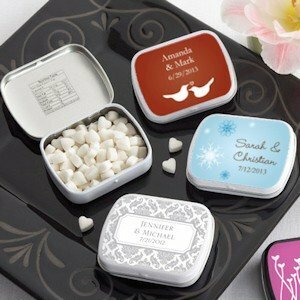 Each mint tin is filled with tasty heart-shaped peppermints and the cover displays your hand-picked personalized design! 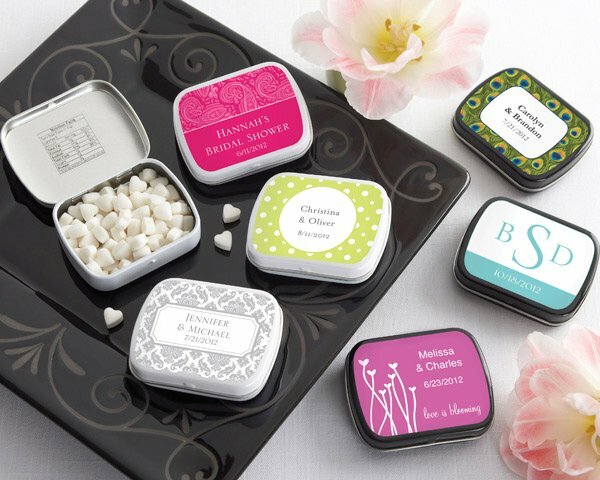 Tins measure 2 1/4" by 1 1/4" by 1/2" and are perfect for tucking into a purse or pocket.